When premed students contact us about guiding them through the medical school application process, many of their questions are related to timing. “When should I…” is a frequent question-starter. While there is no one answer that applies to everyone, here are guidelines we use when advising our medical school applicant clients. The common thread throughout these answers is to proceed in a focused and calm manner. It never pays to rush things, either when taking the MCAT, submitting your application, or any of the other key steps. Make every move count and don’t give up! The world needs more dedicated and compassionate physicians, and medical schools are hoping to find them. Your job is to demonstrate that you have the qualities that med schools look for, in addition to your academic readiness. These programs typically ask you to apply during your sophomore year of college and require that you have done exceedingly well (to the point that they can assume your MCAT score will be top notch). The deadline for these programs is August 1st following your junior year. This program allows you to gain admission to one school and not apply to others. 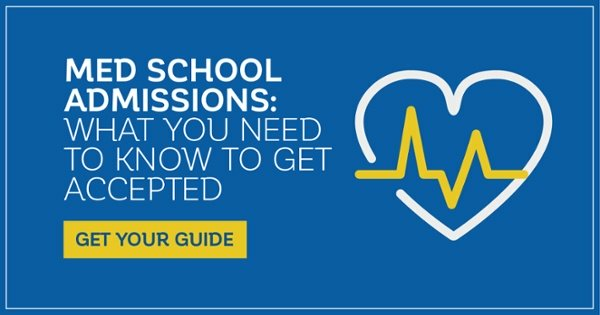 It is difficult to gain acceptance this way, and if you are not accepted, the early application delays your applying via the traditional route. Rejection from EDPs does not mean you are not qualified, just that schools want to see all candidates before deciding. The traditional time frame is to apply at the end of your junior year as a rising senior in college. This requires that you take the MCAT early in your junior year or even during the summer between your sophomore and junior years of college. Taking the MCAT early allows you to know which schools you are competitive at and have a chance to retake it if needed. It also means that you will go on interviews during your senior year. It is increasingly common to apply at the end of your senior year of college. This later application gives you an extra year to take the MCAT (ideally in the summer after your junior year, so you have time to retake it if needed). Applicants who go this route will complete secondaries and interview during their gap year. This timing allows extra time for travel, research, and volunteer or work experience. Postbacs are one- or two-year programs designed to give you the foundational coursework needed for medical school. Some programs require that you enroll full-time, while others have a more flexible curriculum and timeframe. They were originally designed for applicants who were in the workforce and wanted to change careers, or for students who majored in a non-science field and needed to complete the required premed coursework; nowadays, postbac classes are frequently taken by students directly out of college who need to improve their GPA and MCAT scores. Postbac programs enable students to show their ability to perform well in higher level science coursework and can sometimes help you overcome a lower GPA. One point of a postbac program is to demonstrate a sustained upward trend in your GPA for more than two semesters. Doing this shows that you can make it through the long haul of medical school. The other point is to make sure it offers (or you find) good MCAT prep. If you are hoping to counter a below average GPA, your MCAT score is critical. While a postbac program can show med schools that you are capable of high-level coursework, be prepared to dedicate all your time to the program. If you have a bad semester in a postbac program, this can work against you. If you had a rough freshman year in college, but have had an upward trend in your GPA (and an overall GPA above 3.5), you might want to apply to medical school right out of college. However, if you did not start your upward trend until your junior or senior year, you may want to seriously consider a postbac program. If you have been out of school for a year or more, did not get accepted the first time you applied, or are not entirely certain that medical school is for you, you may want to explore a graduate program before applying to medical school. Masters programs give you advanced skills that you can use in medicine, while also exposing you to other aspects of science and health care. Good grades in masters programs show medical schools that you are capable of graduate level work, so it is essential to get excellent grades throughout. In contrast to a postbac program, MS programs give you graduate level coursework comparable to medical school, but they do not change your undergraduate GPA. MS programs can be found in biomedical sciences, bioinformatics, biotechnology, genomics, physiology, stem cell biology, and many others. MPH programs allow you to focus on epidemiology, biostatistics, environmental health, international health, disaster management, public health policy, health services administration, and other areas. It is highly advised to complete all the prerequisites before taking the MCAT. However, you do not need to complete them before starting an MCAT prep course. Every year we work with reapplicants who took the MCAT without preparing, “just to see how I would do.” This looks like you are the kind of applicant who does things without preparing (which may be true). Don’t let that be your image! While some applicants take the MCAT several times and succeed, your chances go down with every successive retake, as does your confidence and your bank balance. Do not assume you will do the same on the MCAT as you do on practice tests. Over preparation should not be underestimated. Take practice tests over and again until you improve. Just like anything else, you need to put in the time. And chance favors the prepared mind. Do not skip practicing for the CARS! This section involves skills that can’t be memorized or learned overnight and is the dreaded downfall of many a premed. Consider this prep as a way to stretch your brain power. Most situations you will face in medicine involve critical reasoning situations, so CARS just might be the most practical thing you ever study! When Do I Need to Retake the MCAT? There is no easy answer to this. It really depends on your GPA, previous MCAT score, and which schools you are hoping to get into. If you have areas of concern in your overall application, a lower MCAT can take you out of the running. However, improving your MCAT by just a few points may or may not make a difference. The key here is that you should retake the MCAT based on the big picture, not simply the score itself. Your goal is to improve significantly. It’s expensive to prepare for this test, so if you are doing it a second time, put in the time you need to see a real difference. If the first review course you took didn’t work for you, find a new one. You might even consider a private tutor or look into a postbac program that includes MCAT prep. According to a 2015 U.S. News and World Report article, you can use the five-point rule. If your score is five percentile points below the median for the schools you are applying to, you should consider a retake. For good measure, you may want to use three percentile points as your guide. You may also consider a retake if you had unusual circumstances on MCAT day, like being sick, a family emergency, or anything that could have lowered your score and would likely improve a great deal on a retake. This does not include being nervous, which certainly might have affected your score, but is not likely to change much. 4. Here is an article that highlights the relative benefits of a retake based on your current GPA and MCAT. When Should I Reapply to Medical School? In short, you should reapply to med school when your application is stronger. • If you are lacking clinical exposure, you can spend more time in a patient care setting. • If your application comes across as repetitive or sloppy, you can work on honing your words and checking for errors. • If your essay was focused on experiences that happened long ago (high school or before), you may need to spend time creating a current theme. • If your GPA is on the low side, an above average MCAT score may overcome it, but this is not guaranteed. You may need to do a postbac or MS program to show that you are capable of higher level academics. When Is It Too Late to Apply to Medical School? The average age of first year med students has remained steady over the past few years at 24. Despite the numbers, more applicants than ever are finding the courage to follow their dream of practicing medicine. Statistics show that older medical students often do just as well or better than their younger classmates. This may be due to maturity, better organizational skills, or just the wisdom that comes with life experience. Having older students in a med school class also tends to give the entire group of students more perspective and maturity. However, while med schools are actively looking for students who show maturity and life experience, this may become less of a benefit after age 40. The reason is time. A 25-year-old student will usually graduate at age 29 and complete residency in their early to mid-thirties. A medical student who starts med school at age 40 will graduate at 44 and complete residency near or after age 50. If you are an older applicant, be aware that medical schools may question whether you have the stamina to handle the years of training and still have time and energy to practice. Schools look more favorably on applicants with strong medical backgrounds, such as a nurse or medic, since these applicants know more clearly what they are getting into. Go through the steps outlined in the college years guide to find out where you need to catch up. 2. Work in your new life experiences. Make sure your time away from school gives you something worthwhile to write about in your essays. Be careful not to focus on your undergraduate or earlier experiences, and never recycle an old unsuccessful personal statement. 3. Write about your personal growth. Make sure your essays reflect the maturity you have gained in the past few years. If you do this, medical schools will see this as time well spent. 1. Go back to school. You may want to consider a postbac or Special Masters Program (SMP). 2. Find new ways to strengthen your application. This could be through clinical work, research, and/or volunteer experiences. Ideally you will have sustained time in two or more of these areas. 3. Maintain or renew connections with mentors. While you will hopefully find new mentors along the way, your past ones can still be helpful. Keep in touch and update them on your progress. Make sure they are supportive of your career goals and if not, find new letter writers. 4. Spend time reflecting on your experiences. Your life will be different once you have graduated, so you need to write about your post-college experiences. It helps to keep track of significant or memorable events as you go. Don’t worry about the writing quality at this point. Just get your ideas down so you can use them later to craft your essays. Take care of your body and mind with diet, exercise, stress-reduction, i.e. all the things you would tell yourself to do if you were your own doctor and going through a stressful period. Practice calming techniques, stay healthy, and learn to pace yourself. Keep your goal in mind, but be willing to steer a new course if needed. Allied Health schools (PA, NP, CNM) may be more welcoming to older applicants and the training time is less, so you will be out doing what you love that much sooner. Looking for start-to-finish help on your AMCAS application? Work one-on-one with your personal Accepted advisor to strategize and create your winning app with our medical school admissions consulting team. Check out our AMCAS Application Packages for more information on how we can help you get accepted! Dr. Suzi Schweikert has served on the UCSD School of Medicine’s admissions committee, and has mentored students in healthcare programs for over 20 years. She holds a BA in English Lit from UCLA, an MD from UCSD, and an MPH from SDSU. Want Suzi to help you get accepted? Click here to get in touch with Dr. Suzi Schweikert. • When Should I Apply to Medical School? Last updated on December 18, 2018.